Already one month into 2017 and here is your first edition of Inclusion Insights which is packed with... well... inclusion insights. This month we'd like to thank Lucretia Maker from Hampshire Police for kindly being our guest editor. If you're keen to get your voice heard we're always looking for guest editors, so please do get in touch. We're looking forward to LGBT History Month and our inclusion conference on the 20th February. If you’d like to share any details of your D&I activities we'd be happy to post them on diversitycalendar.co.uk. Last summer we decided that we needed to gather fresh data about the protected characteristics of our workforce in order to guide us in developing our Inclusion Strategy. For various technical reasons, this was not a straightforward task with our current systems, so we approached Inclusive Employers for help. We decided to conduct an Inclusion Survey – a simple question set with demographic data collection. Inclusive Employers worked in partnership with a professional survey company and the outcome was exactly what we needed. The response rate gave high levels of statistical confidence, high medium and low levels of inclusion were identified, and we were provided with bench-marking data in our sector and as compared to the most inclusive employers. The inclusion index has provided us with clarity and direction for our Strategic Plan as we work to become an even more inclusive employer. Is social media bias the elephant in the room? Are you struggling to recruit a diverse workforce? Bertille, our Senior Inclusion and Diversity consultant, discusses the impact of social media in the recruitment process. In this round-up of topical issues we outline some important changes that we know will come into effect over the next 12 months. Working together with survey company VaLUENTis, we have developed our Inclusion Survey to assist you in the development of Inclusion and Diversity Strategies. Disclaimer: The information provided in “Case Law Updates” is for general guidance and does not constitute legal advice. The opinions expressed at or through the newsletter are the opinions of Inclusive Employers and may not reflect the opinions of a lawyer. Let us advertise your D&I vacancy. 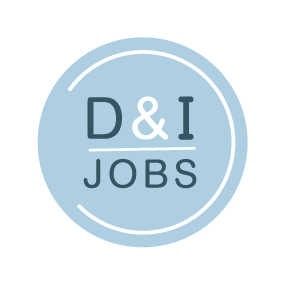 Sign up here for D&I job alerts. As well as this, we are hosting a conference with Northern Powerhouse Briefings in Leeds. To find out more about this event, please click here. 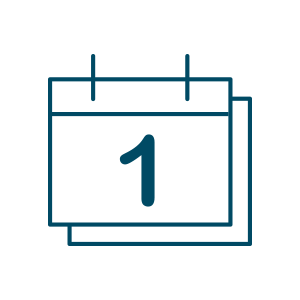 To keep up-to-date with what we are doing at Inclusive Employers take a look at our calendar. We have included awareness days, our events and conferences, and our campaigns. To see the calendar, click here. If you would like to add any of your own events to the calendar or any awareness days, please let us know. We all have bias but do we realise the impact it has on our decision making at work? At best bias inhibits top quality decisions, and at worst it results in unfairness and potential discrimination. Through case studies, practical examples and action planning this is an ideal workshop to help delegates understand their own unconscious biases and the impact that these biases may have in the work setting. This event guides delegates along the fine line between fun, stress reducing, morale raising workplace communication and a harmful, debilitating and persistent verbal barrage. This practical event puts political correctness in its place, recognises the benefits of fun at work and focuses on the risks and responsibilities for all concerned. Is it time to make inclusion a reality in your TOC? This one day conference on 20th February 2017 at County Hall, London SE1 7PB will be a lively and interactive day, sharing best practice for Train Operators that understand the commercial and social opportunity of inclusion. Come join us for a day of networking, find out more from our role model speakers and champion and celebrate the North. Copyright © 2017 Inclusive Employers, all rights reserved.